The publication has been at the forefront of fashion since the 19th century and it is no surprise that it published the best work in this art form. From the mannered shapes of Leon Benigni of the 1930s to the looser outlines of the late 1960s, the book is a beautiful resource for all illustrators. The art form of fashion illustration goes back to the beginning of the 20th century and today's exponents are still benefiting from some of the styles, shapes and colours of fashion illustrators from decades ago. Whether they work with traditional pencils, crayons and watercolours or with a digital pen, fashion illustrators today will find inspiration from these stunning images. 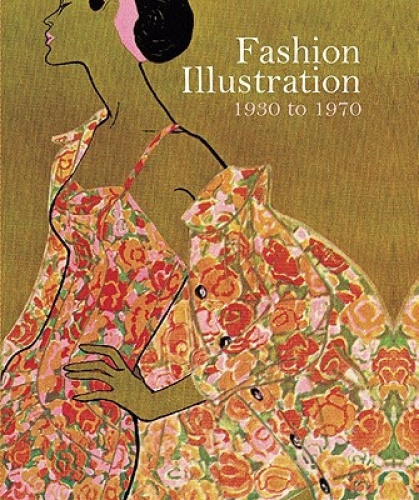 This volume collates the best fashion illustration that were captured in the pages of the iconic Harper's Bazaar magazine from 1930 to 1970. The publication has been at the forefront of fashion since the 19th century and it is surprise that it published the best work in this art form. From the mannered shapes of Leon Benigni of the 1930s to the looser outlines of the late 1960s, the book is a beautiful resource for all illustrators. item 4 Fashion Illustration, 1930 to 1970: From Harper's Bazaar by Marnie Fogg. -Fashion Illustration, 1930 to 1970: From Harper's Bazaar by Marnie Fogg. item 5 Fashion Illustration, 1930 to 1970, Fogg New 9781906388812 Fast Free Shipping.. -Fashion Illustration, 1930 to 1970, Fogg New 9781906388812 Fast Free Shipping..